Salem Shuchman is a veteran private equity investor with a 30+ year track record at leading private equity firms including Apax Partners. Mr. Shuchman is currently the Founder & Managing Partner at Entrepreneur Partners, a Philadelphia based private equity firm making investments in U.S. lower middle-market companies. Prior to forming Entrepreneur Partners, Mr. Shuchman spent 12 years as a Senior Partner at Apax Partners, a private equity group managing which managed $12 billion of assets in the U.S. and Europe at that time. At Apax, he ran the leveraged transaction group, which made investments across multiple industry sectors in the U.S. and Europe. Prior to Apax, Mr. Shuchman spent nearly a decade as a Principal at Odyssey Partners, an alternative investment fund managing both public equity as well as private equity investments. Prior to joining Odyssey Partners, Mr. Shuchman was the Founder & Executive Director of the Chester Community Improvement Project, a community-based economic development organization focused on housing and financial counseling for low-income families in Chester, Pennsylvania. Mr. Shuchman served on the Board of Trustees and the Investment Board at The Children’s Hospital of Philadelphia for 12 years, stepping down in June 2018. 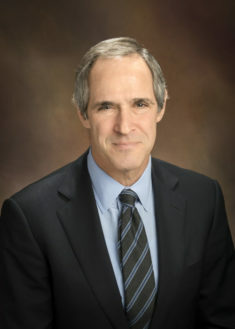 Mr. Shuchman has also served on the Board of Managers and Investment Committee for Swarthmore College for the last 18 years and effective in June 2018, he became the Chair of the Board at Swarthmore College. Mr. Shuchman has a BA with honors in Political Science, Economics & Philosophy from Swarthmore College. He is also a triathlete and three-time Ironman finisher. As an aligned Operating Partner, Mr. Shuchman assists Star Mountain Capital with strategic advice, thought leadership and insights to help the firm and its portfolio investments maximize value.